← Need $$$? Grant application deadlines are approaching fast! Thought we would highlight a couple of important items from the March edition of the Seattle Office of Emergency Management’s “Monthly Connection” newsletter. They’ve just rolled out their Annual Report for 2011. 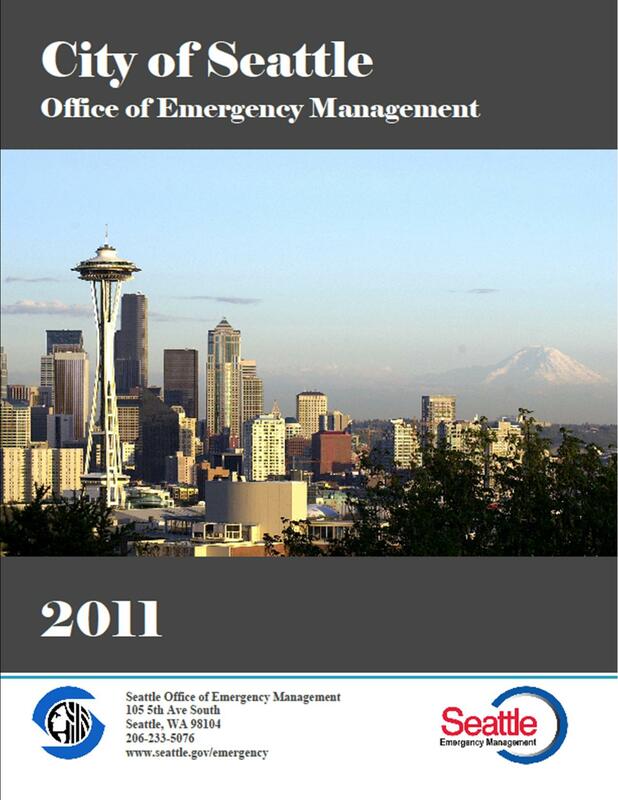 They are still soliciting feedback on the Seattle Disaster Readiness and Response Plan. If you missed the 2 community meetings, you can submit feedback or contact them at: Seattle-DisasterPlan@seattle.gov. Spring skills training and SNAP (Seattle Neighborhoods Actively Prepare) classes are underway; see their events calendar for more details. These are offered at various locations throughout Seattle; West Seattle will host one in June. This entry was posted in Announcements and tagged announcements, Office of Emergency Management, Seattle Office of Emergency Management. Bookmark the permalink.